It is never easy to be a parent and find out that their child has a lice infestation. Whether it is a call from the child’s school, or a discovery the parent notices on their own, lice infestations require immediate attention. The question becomes, where does a parent turn to have lice removed, or where can they purchase products to it themselves? Look no further than The Lice Place. We are experts in the field of lice removal and have been for many years. For those looking for lice treatment products in Brentwood and the surrounding areas, we are the best and the most efficient. We sell a variety of different types of lice treatment products, to get rid of any level of lice infestation. We have products such as shampoos, conditioners, mousses, and combs. We also sell complete kits as well as mint-scented lice repellent spray, to keep the lice at bay. We do recommend consulting with a member of our staff prior to purchase, just to make sure that the right product is used for different levels of infestations. We sell all of our products both online and in our treatment centers. All of our products are completely safe and non-toxic, backed by our 100 percent satisfaction guarantee. Safe for use on or near pets, kids, and adults, our products are environmentally friendly as well. For those who do want to administer lice treatment at home, we offer the same products applied by our professional technicians at all of our treatment centers. Efficient and discreet, all of our services are backed by a 100 percent guarantee as well. 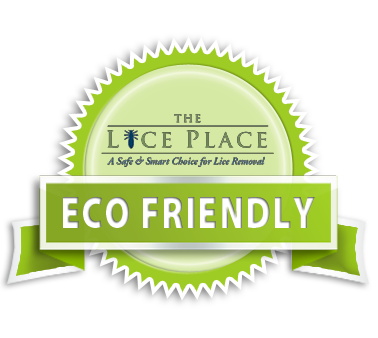 For more information about lice treatment products in Brentwood or to make an appointment, stop by or call The Lice Place at (615)656-1646. We promise complete lice removal after just one treatment.